To see a manual archive (RSS) of all episodes, click here. To play all recent episodes automatically, click here. To see a manual archive (RSS) of all episodes, click here. To play all recent episodes automatically, click here. 1. The Sapphires, from Film Buff Radio, the show that talks about movies and plays songs from their soundtracks. 2. 40 minutes of classical favourites from Offenbach, Rachmaninoff, Tchaikovsky, Chopin, Mozart and more. 3. A listener calls in from Hornby Island and talks about how the Queen is retiring, how monarchy is whack, and how the crown is intertwined in international banking. Music by Mozart. From Your Sense Too, a call in show that wants to know your two cents. To find CHLY’s podcasts, simply go to chly.ca and click on the red “Podcasts” button. 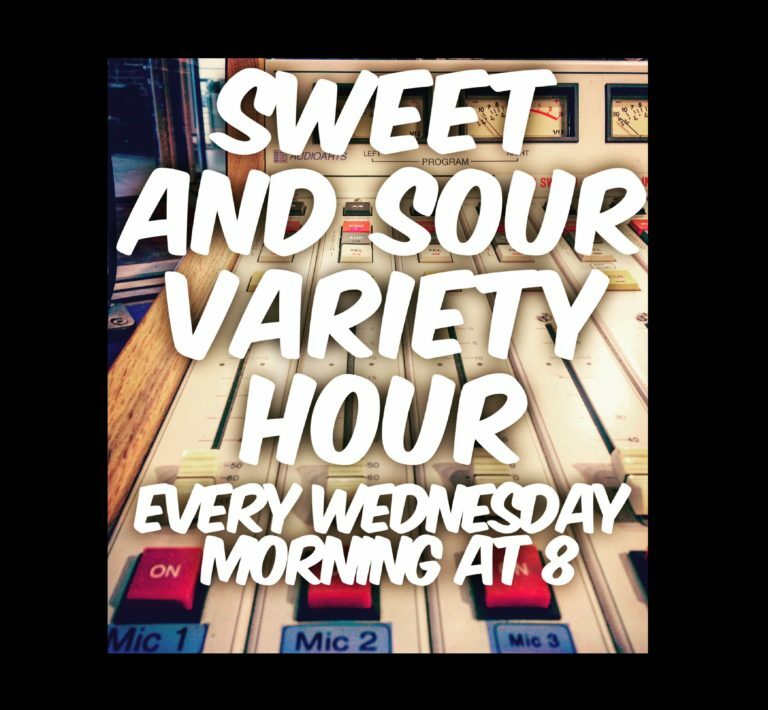 That will take you here to the list of all CHLY podcasts in which you have to scroll down to The Sweet and Sour Variety Hour. …This opens the RSS page, which has those raw .mp3 files you can right click and save as to download each hour if you want to. This means you could load them on an mp3 player, or edit them in Audacity. You can also subscribe to the RSS feed. …Opens in iTunes and subscribes you to the show. New episodes will appear in your iTunes automatically every week.